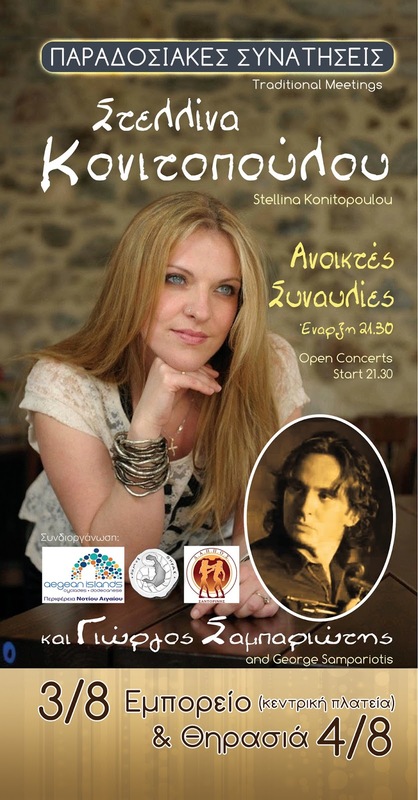 If you didn’t get enough of Greek traditional dances in Emporio yesterday, then you can go on a boat trip tonight to our neighbouring island Thirasia, for Stellina Konitopoulou’s second concert. Your transfer can be done by boat that leaves from Ammoudi at 21.30 and returns from Riva, Thirasia, at 01.30. The boat and the concert are free of charge.